At the 2012 New York Comic Con, I got the chance to speak with Jared Burrell, the owner, cofounder, writer, head illustrator and publisher of Loaded Barrel. 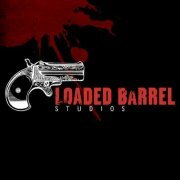 You can check out Loaded Barrel Studios at its website here. Next ArticleMovie Review - Silent Hill: Revelations In 3D!